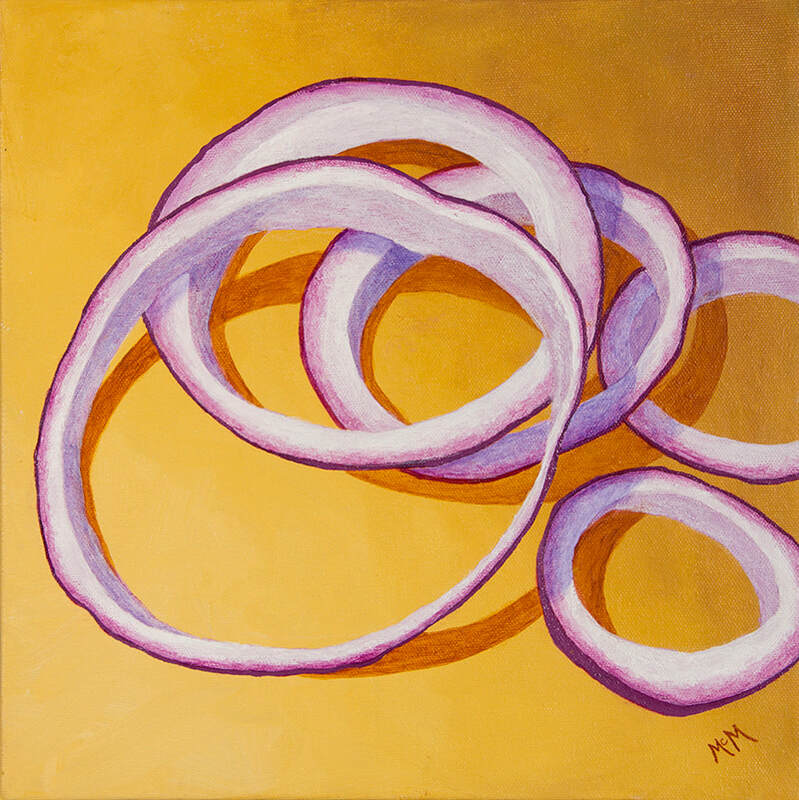 "Onion Rings" is a new addition to my Kitchen Art series. Only 12"X12" it is perfect fit for a little crook or cranny that is dying for a little bit of color. 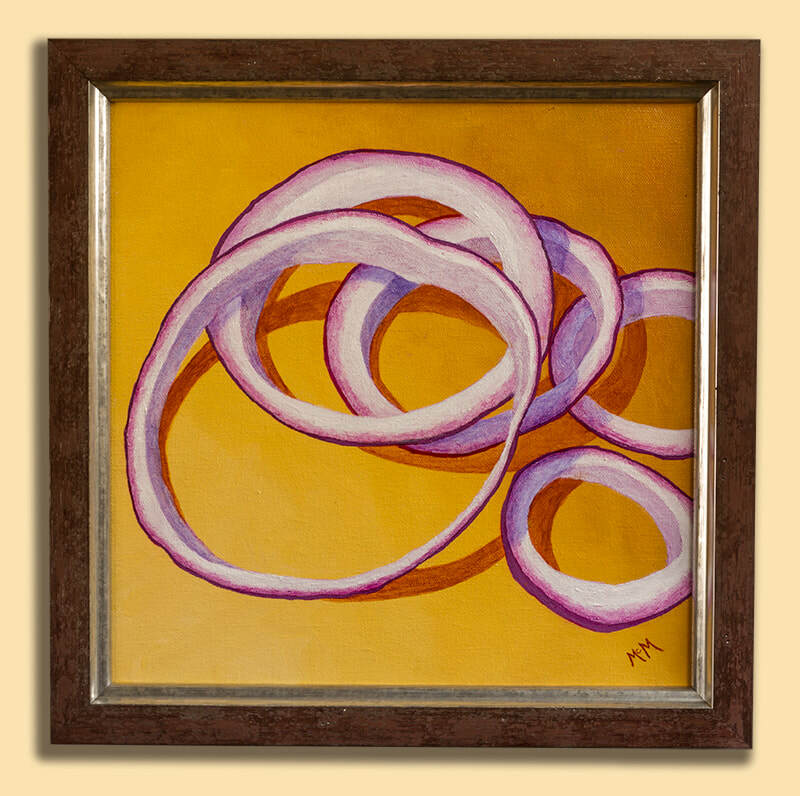 Onion Rings is a "study" for a larger oil painting in the near future. Signed front and with signed birth certificate. Available unframed, but framing is available for an additional cost. ​Sold unframed, but frame shown is available a tan additional cost.